There are only three ingredients: Rope, Coconuts and the love of animals, nature and living in the beautiful Florida Keys. Company Story – While growing up in Key West, the founder adopted a puppy named Ziggy who loved to play, go to the beach and was nuts for coconuts. 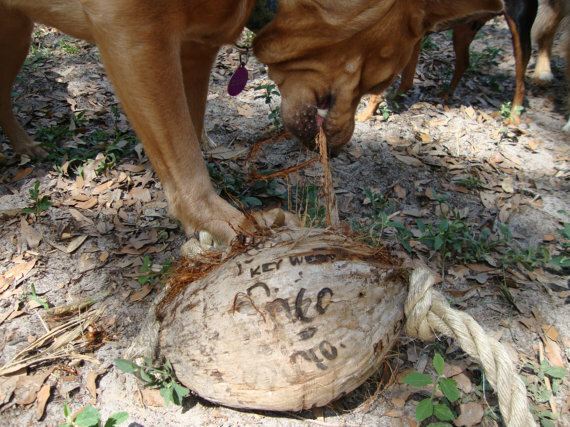 By attaching a rope to the coconut, they discovered the perfect dog toy. Product Story – A simple product made from just a coconut and rope. At The Green Hound we love this product as it brought back childhood memories of one of our pets whose favorite toy was a coconut shell. Dogs can eat coconuts. Some dog owners have been known to give coconuts to their dogs as toys to with and then later they open the coconut up for their dog to eat. 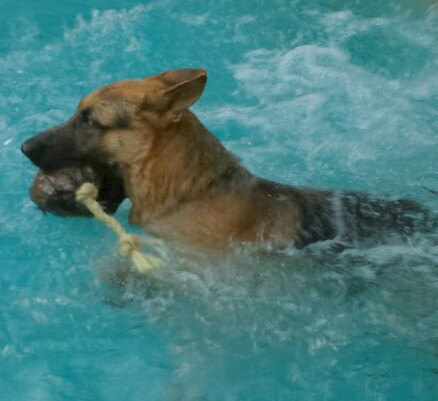 Dogs can eat the meat and all but the inner shell is not good for anyone, man or mutt. While it is not toxic, it can be sharp but will break down into fibers. You don’t need to worry about pesticides because coconuts don’t need any thanks to their protective outer shells and how high they are in trees.